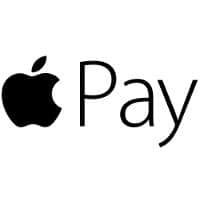 Customers who choose to use Apple Pay when the service launches in the UK will be able to use the mobile payments service to make transactions over the current contactless limit of £20 (US$30) at select retail locations, according to Visa Europe’s executive director of mobile. MasterCard also expects to see merchants being able to accept higher-value transactions in time. “Currently, the majority of payment terminals are set to accept contactless transactions up to the £20 spending limit, which will rise to £30 in September,” MasterCard told NFC World. A service that lets NFC phone users enter their PIN on their mobile device to confirm a high-value transaction made it possible for UK consumers to make contactless payments valued at more than the £20 transaction limit for the first time in November 2014. The high value contactless service went live in the stores of a UK carrier, a client of payments and loyalty specialist The Logic Group whose identity has not been revealed, which gained accreditation from Visa for the service. It was confirmed at the time that two other merchants were in the process of rolling out the service ahead of wider availability in 2015.